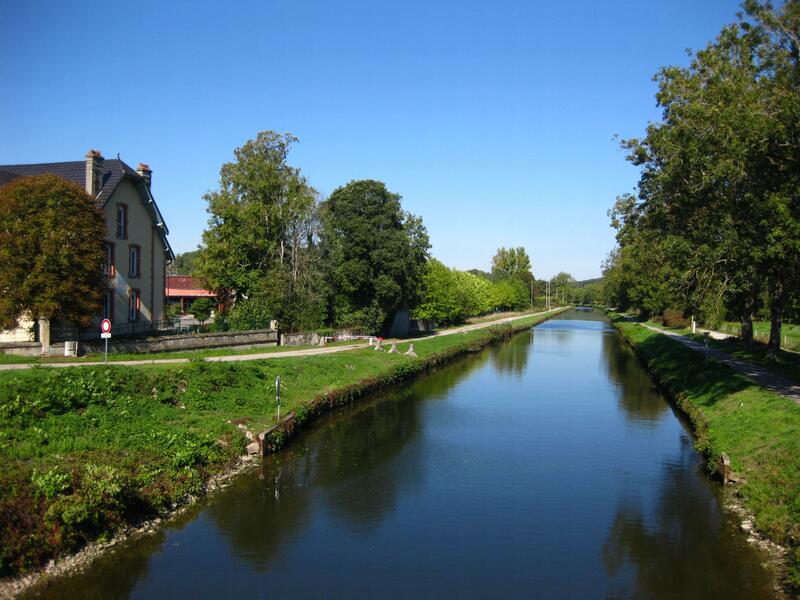 To the North of Nancy we found the small town of Pont-a-Mousson, with a lovely aire on the harbour. The town had a bit more life about it than Charmes, with what we call a very French town square : plenty of pavement cafes with men smoking disgustingly smelly gauloise cigarettes and drinking wine, women looking super chic clattering around the cobbles in high heels and all the teenagers loitering around looking achingly cool as they wander around with music bouncing out from iplayers. No matter how many lovely towns and villages there are and what tourist attractions are promoted, it is impossible not to be drawn to the history of the area, the echoes of WWI are everywhere. We drove through the Lorraine National Park along lanes not much more than forest tracks, in the midst of pretty much nowhere we came across the Calonne Trenches. 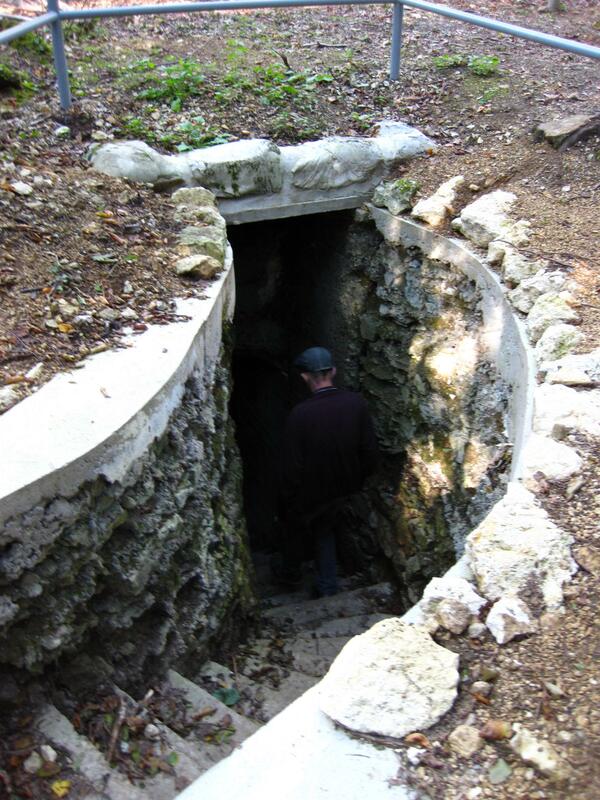 A short walk from the road we found trenches together with tunnels used for supplies, medical purposes and communications bases. Along the same pathway we came across the pit where the body of the famous French author Alain Fournier ( writer of the French classic ‘Le Grand Meaulnes’) and 20 of his comrades were discovered in 1994, they died in 1914 fighting in the trenches and their bodies lie undiscovered in a shallow trench for 80 years. We couldn’t help but be drawn to the Ossuary at Douaumont, which contains the remains of 130,000 unknown German and French soldiers, the skeletal remains can be seen through small windows at the lower edges of the monument. In front of the monument stands one of the National cemeteries of France, where the bodies of a further 16,142 soldiers are buried. Iain climbed the tower and took some incredible photos of the graves whch are situated where once many of the battles took place. 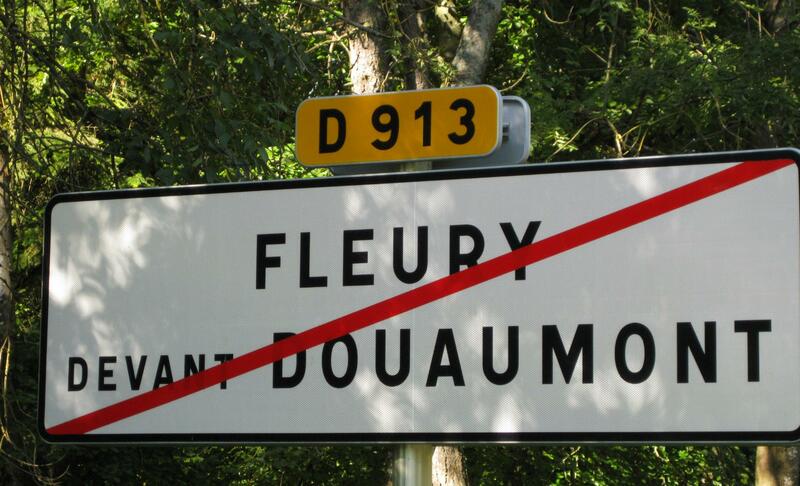 Despite the incredible beauty of, and the stories behind, the memorials the place that probably touched both our hearts most was Fleury Devant Douaumont. There is a road sign for the start and end of the town – but no town. After being captured and recaptured during 16 battles it was totally destroyed. Nothing at all remains except the narrow roadways and where homes, businesses and civic building once stood now just a simple stone marker with an inscription as to the type of building once there. 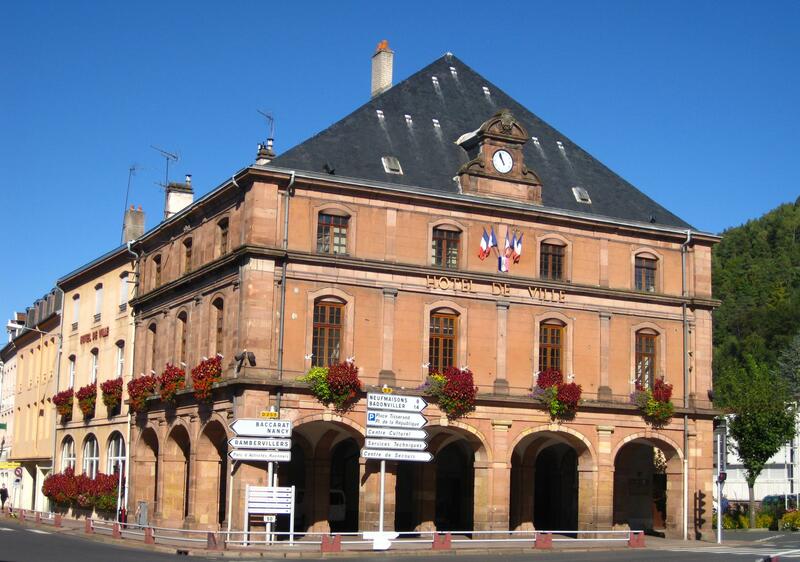 It is one of eight towns that are officially designated as “villages that died for France”. Fleury still has a mayor and is listed as a town but the damage to the land meant a decision was made it will never be rebuilt. Aside from the Ossuary the other great structure of memorial is that of the Mountfaucon American Monument. 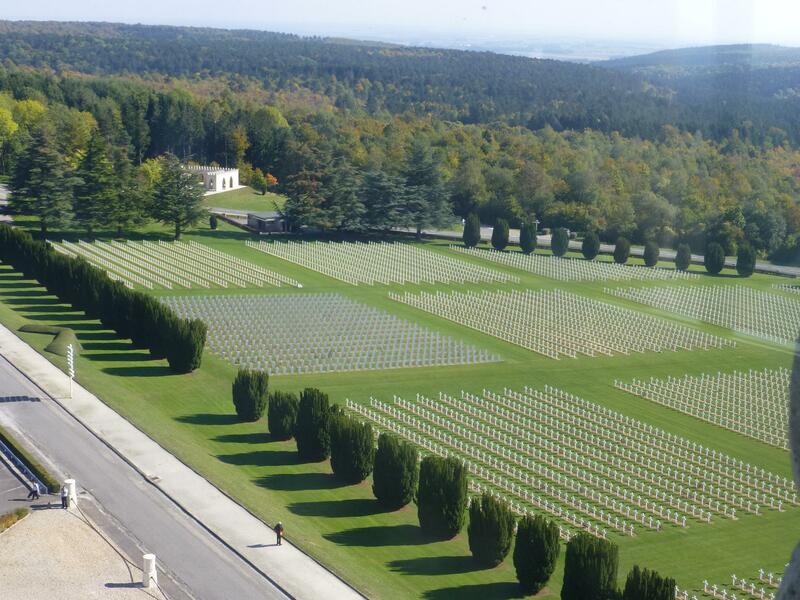 It can be seen from miles and miles around, nearby stands the US cemetery with thousands more graves. 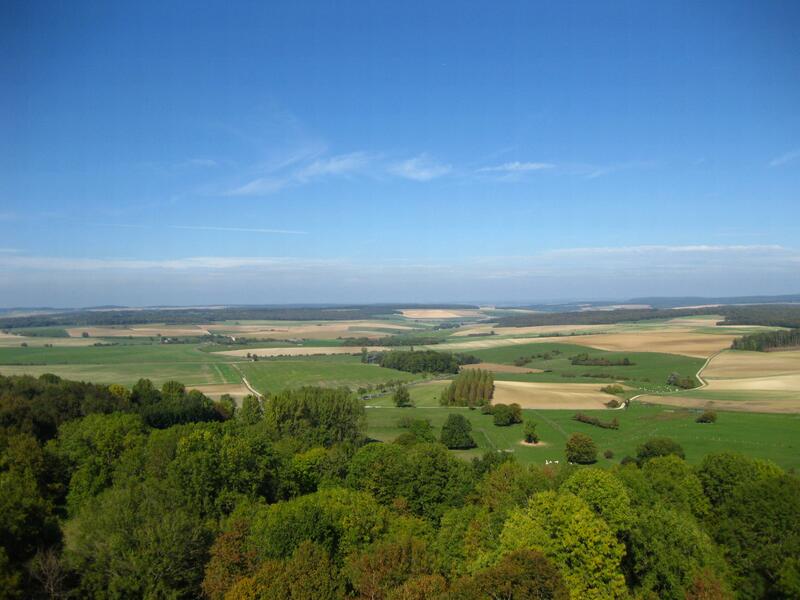 The monument is just over 196 ft high we climbed to the top, up 234 spiral steps, for the views over the fields that were once the scene of the many battles of the Meuse-Argonne Offensive during World WWI. The monument faces the front line of the US army at the start of the offensive on September 26th 1918, the biggest battle in American history up to that time involving over 1.2 million US soldiers. 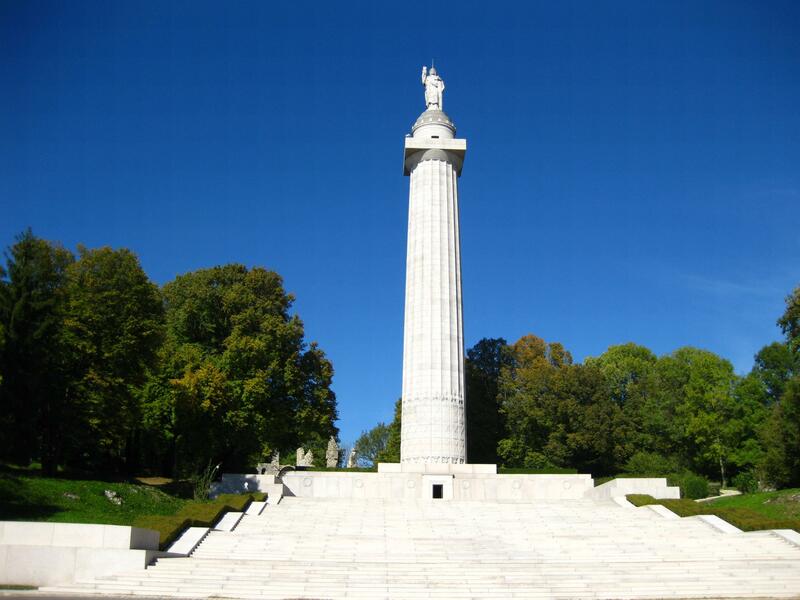 Whilst touring in the area we have seen literally hundreds of monuments from the smallest inscription on a bridge, to statues and obelisks, to the enormous Ossaury at Douaumont and the American Monument of Montfaucon -what every single one has in common is it seems to be treated with respect. There are no gates or walls surrounding any of the memorials and many of the graveyards. In most cases roads pass alongside the monument be it large or small so access is possible 24 hours a day. Yet, there is no damage, no graffiti, no vandalism. It’s hard to imagine some of these things being in the UK and not needing to be locked up with high security to prevent someone stealing the crosses or the lead guttering, or spray painting some inane message on a monument. 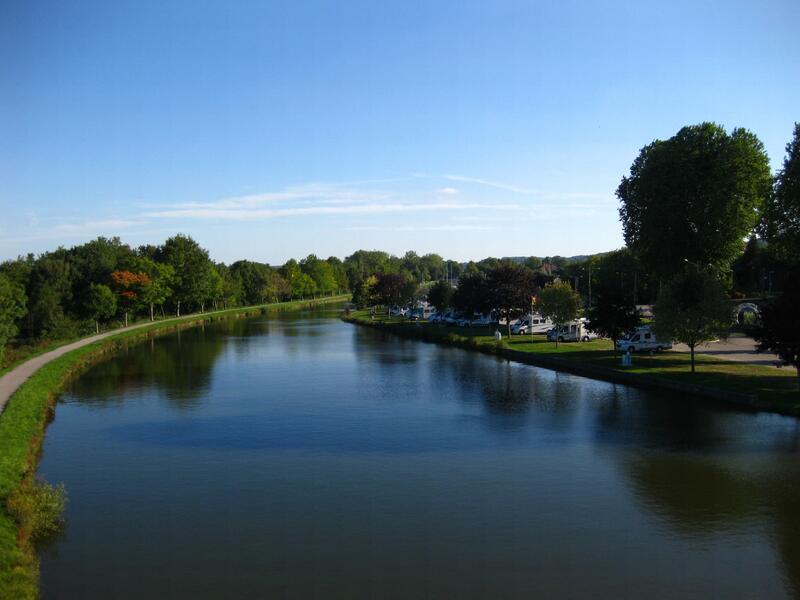 Our week ended at Dun Sur Meuse, another small town with a camperstop on the side of the river where we parked up with the locals. Early evening a tres jolly lady came around and collected our €6, a couple of the other French vanners got out the fishing roads and we all settled down to a stunning sunset. Our spell of good weather came to an end this morning, its lasted way longer than we thought so no complaints here. Probably quite a scenic drive through the Ardennes, we didn’t see much due to drizzle, fog and total concentration on looking out for a garage. Yes indeed, we pulled that old school boy trick of letting the diesel run to just on the red then looking for a garage in France on a Sunday! After a good few miles on clenched bottoms we spotted an open garage – diesel gauge now showing an attractive looking half full, rained stopped, sun peeking out and the Belgium border in front of us – all good with our world again :). 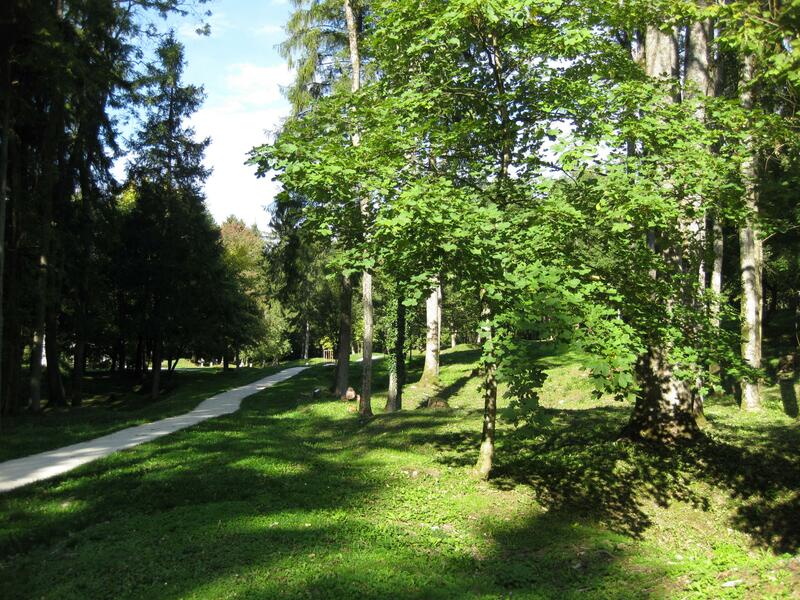 When we were leaving Alsace on route to Lorraine all we needed to do was re-trace our steps then take a left instead of a right over the Alsage – simples then. Oh no, Iain had seen a tunnel on the map, over 5 miles of tunnel so as tunnels appeal to him we needed to take that route. Mile after mile of dead straight road under a mountain, no other vehicles in either direction – uh how much is this costing? Iain guessed at around €4, I was sure nearer €6. Oh how well we were fooled € 17.20 to drive through a dark hole! Iain is no longer allowed to choose routes. We are in no rush at all as we have covered pretty much all we want to (Luxembourg is yet to come but on route). We know we can be in the channel ports in a day at a push so we intend to meander around and take longer breaks for the next few weeks. In the spirit of being on a holiday from travelling we found a small campsite on the edge of the small village of Raon L’Etape to sit in the sunshine for a few days. It probably isn’t visited by too many tourists, all the more mundane shops essential to daily life, just the one cafe and a rather plush outdoor swimming pool. 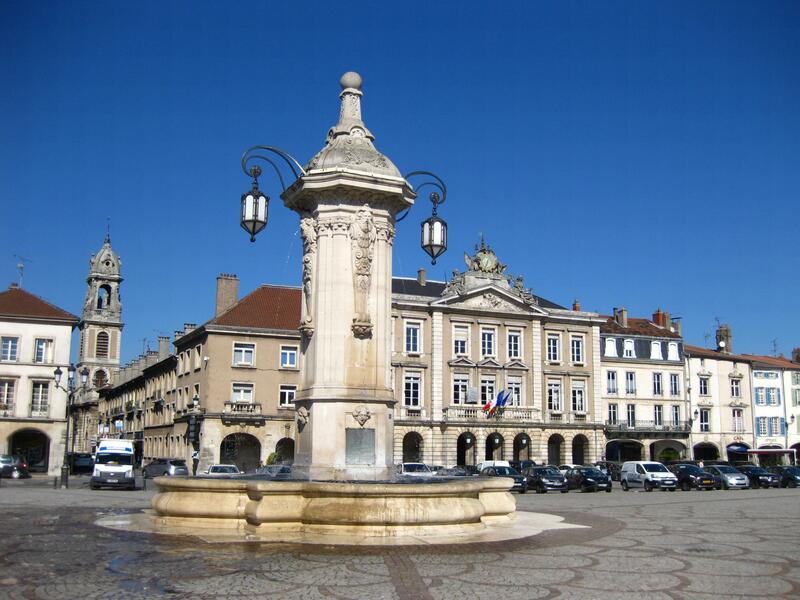 One thing they have got a monopoly on is fountains – we counted at least six, elaborate Victorian type structures in the town centre. We stopped off at a small local shop to stock up with fruit, not sure how well our French translated as we seem to have bought shares in the shop rather than just pay for a bag of fruit! Driving through the region it’s nearly impossible to go more than a few miles without reaching a war memorial or a military cemetery. Every village or town has it’s own battle story, in most they have two – one for each war. 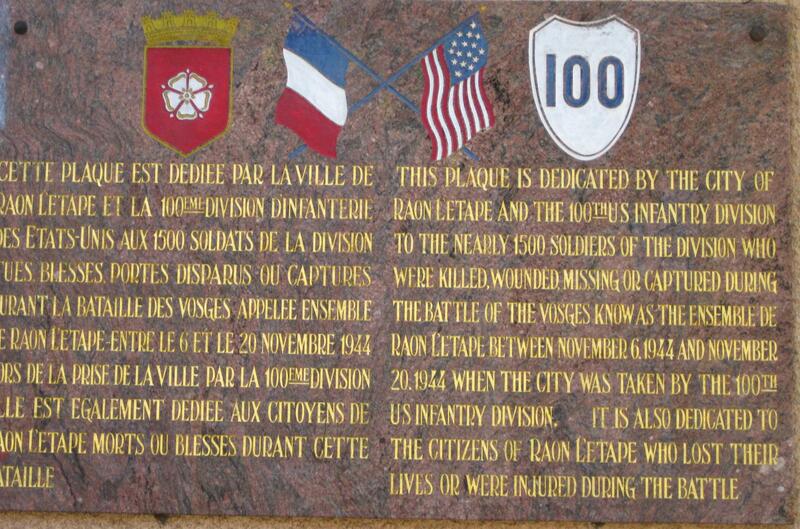 At Raon L’Etape there was a simple plaque dedicated to the memory of 1500 soldiers of the US 100th Infantry who died, were injured or captured during a 14 day battle for the town in 1944, then in the cemetery on the way out of town were the graves of hundreds of French soldiers who died in in WWI. Literally a few miles up the road we came across Chipotte memorial and cemetery. 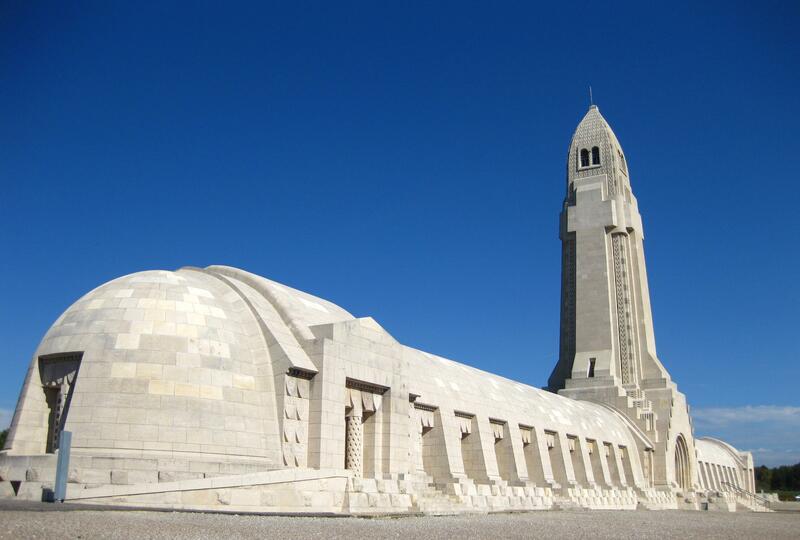 The site marks the place where a WWI battle took place over 15 days, the cemetery has 1,006 individual graves and two ossuaries holding the remains of 1,899 soldiers whose remains could not be identified. 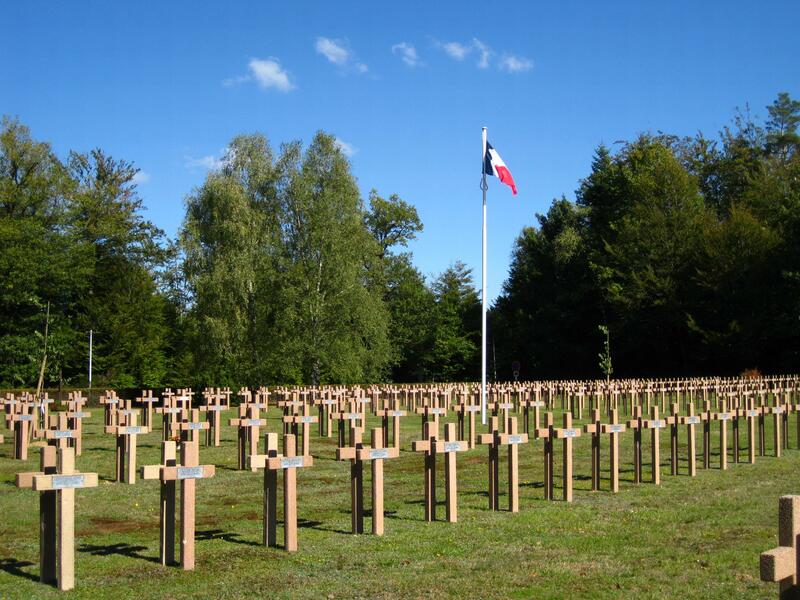 Whether it be in military cemeteries or those included in town and village graveyards the crosses are all similar in that they show just a name, date of death and the words “Mort pour La France”. We have have an interest in recent history so visiting these places is always an honour, whilst it’s without a doubt often a very bleak and sad experience it seems wrong not to visit where so many have died to enable us to do what we do, travel freely around Europe. 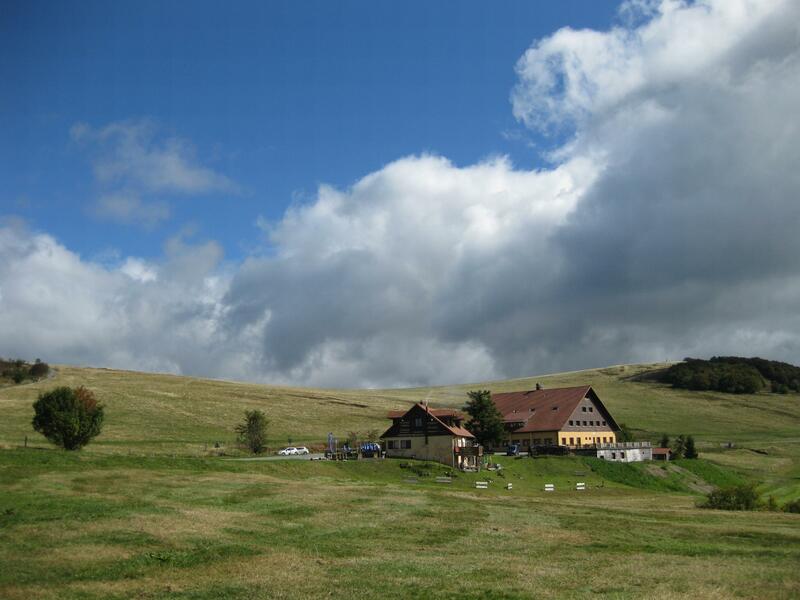 Therefore having read about the Natzweiler-Struthof concentration camp being close by we both agreed to take a slight detour to visit. 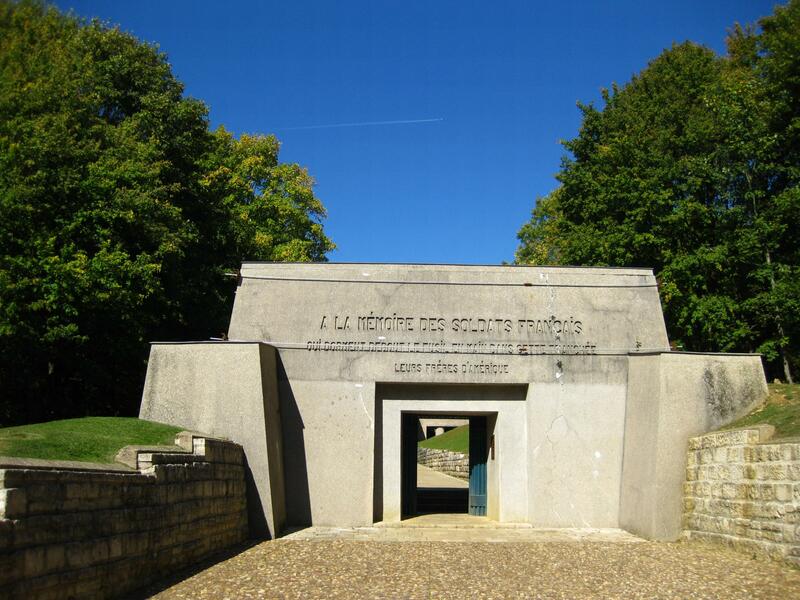 It is the only concentration camp that was established on French soil, mainly housing political prisoners and members of the Resistance, together with lesser numbers of Jews, gypsies etc. The camp held over 8000 at its fullest and also had 70 sub camps in the immediate region holding a further 19,000 prisoners. 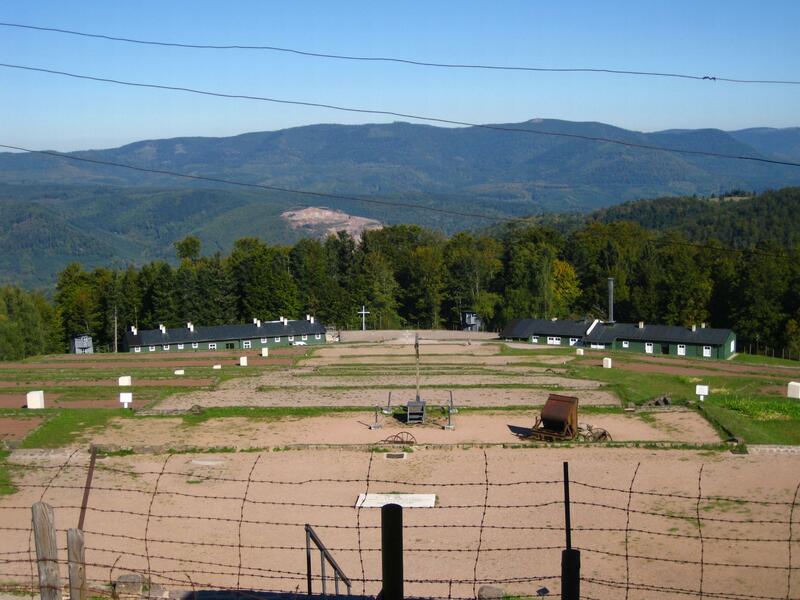 The stories remain as unbelievable as those of any other camp including medical experiments, tortures and gas chambers. As with other camps the prisoners knew the Allies were approaching in 1944 and believed liberation and freedom was imminent. In a matter of days before the Allies arrived at the camp that hope was sadly crushed as the German’s decided to evacuate the camp and march over 7000 prisoners with them to Dachau concentration camp where most were subsequently murdered – as the memorial there says “Freedom – so near and yet so far”. From Natzweiler we took a scenic route through Lorraine towards the Moselle River and the town of Charmes. Very few other vehicles on the roads so a peaceful afternoon to appreciate the beautiful scenery, whilst none of the villages we passed would be classed as a tourist must see they all had their own charm. In lots of ways its the older houses with plaster falling off, paint fading on the shutters and geraniums hiding much of the building that, for us, are the spirit of France (no cyclist with onions round his neck and a black and white t.shirt yet but we live in hope). 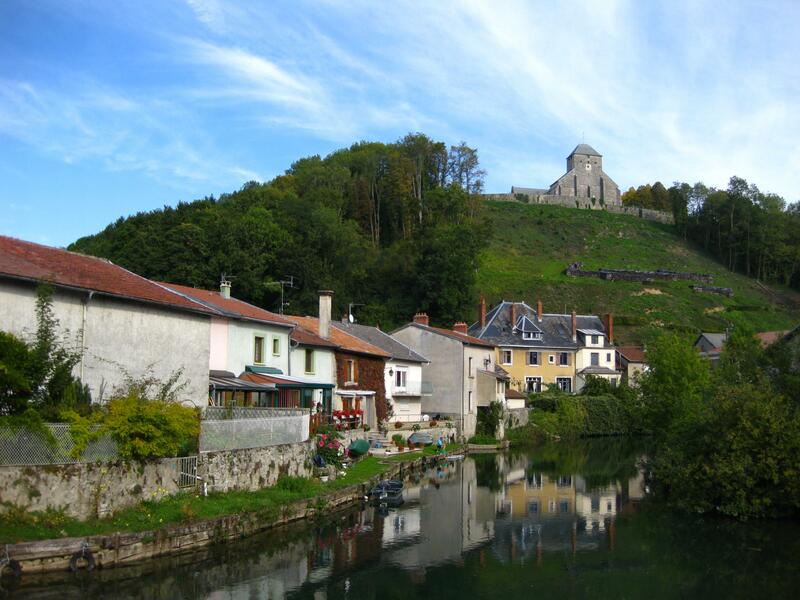 Charmes is a small village, pretty well destroyed in WWI, rebuilt and then it suffered the same fate again in WWII. On the positive side the Moselle River and the Canal De L’Est ru through the centre, and on an even better note the aire is next to the canal so we pitched up with a pretty perfect view for a few nights. Seemingly a popular stop with the French moho’s, a good number parked up with picnic tables out and a couple of petanqe tournaments taking place on the roadway. 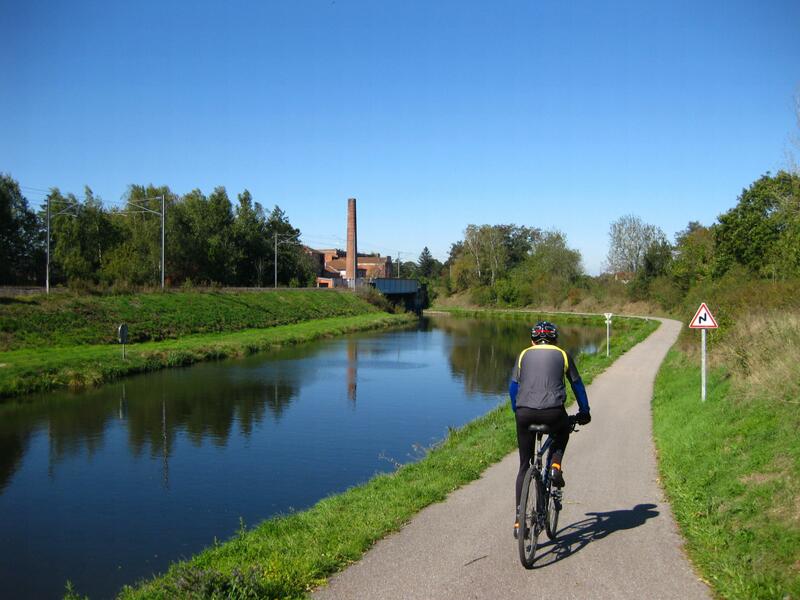 Nothing much we enjoy more than the bikes off for a cycle on a good flat canal tow-path, it is perfect cycling country here. We rode over 25 miles on tarmac paths and saw three other cyclists – not sure the French appreciate how good their velo network is. The canal is decidedly quiet, we passed one quarry that had a few barges filling up but other than that no boats, not even a holiday barge cruising. There are plenty of locks but it seems all are now automated, there are signs for the boats to use some sort of remote key card, as they do the locks are automatically filled / emptied and the gates opened and closed, clever but not as good to watch as the old fashioned way.